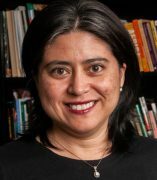 Xóchitl Bada is an Associate Professor in the Latin American and Latino Studies Program of the University of Illinois at Chicago. Her articles have appeared in Forced Migration Review, Population, Space, and Place, Latino Studies, and Labor Studies Journal. She is the author of Mexican Hometown Associations in Chicagoacán: From Local to Transnational Civic Engagement (Rutgers University Press, 2014). Her areas of specialization include migrant access to political and social rights, migrant organizing strategies, violence and displacement, and transnational labor advocacy mobilization in Mexico and the United. She is coeditor of the books New Migration Patterns in the Americas. Challenges for the 21st Century (Palgrave, 2018), Accountability across Borders: Migrant Rights in North America (The University of Texas Press, 2019), and the Oxford Handbook of Sociology of Latin America, forthcoming in 2020.